I spent the first 10 years of my career in television production – producing fashion and lifestyle content for eTalk – Canada’s most prominent entertainment show. After a decade, I went freelance, pursued certifications in personal training and nutrition and a became a leading fitness and wellness expert for magazines like Fashion, Shape, CBC Life and Huffington Post. 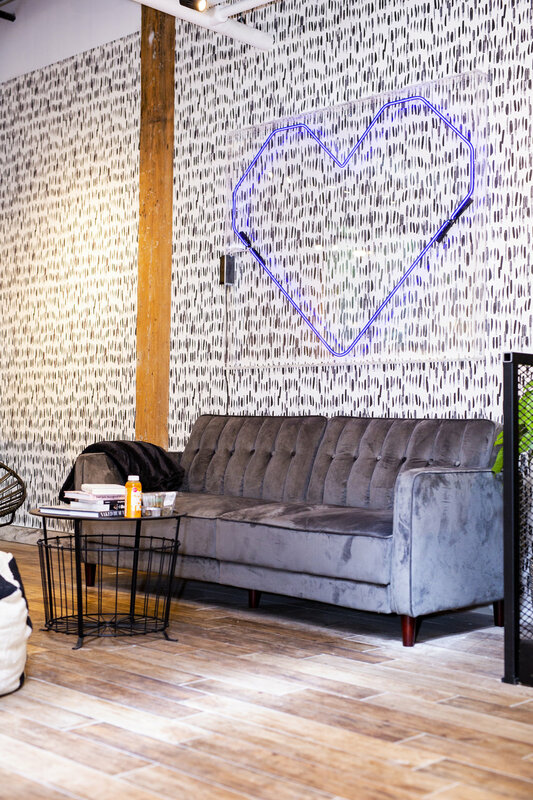 These experiences in production, as a wellness expert and a personal trainer all culminated to bring me to where I am now – the founder and CEO of a brand new lifestyle facility in downtown Toronto called BOLO – BodyLove Inc; a place that combines a fitness studio with a chic café and a blow dry bar, in the hopes of providing a cool, multi-functional space for urban professionals who are passionate about wellness. At the core - BOLO is technically a gym, café and salon hybrid; a place where you can get a workout, some work done, your life together and carry on to your next destination. More than just the services offered, though, BOLO is a community hub for wellness minded people, built specifically to cater those who want to do more and compromise less all under a cool roof filled with supportive people rooting for you. It all started as a vague idea in early 2016. Like many entrepreneurs I dreamed up BOLO because of a void I felt in the fitness industry and in my life. As a freelance journalist with a side hustle in fitness, I constantly felt like checking all my boxes was a highly inefficient process. I needed to get a great sweat, bang out some emails, get a hearty, healthy meal in and a bit of space to comfortably clean myself up. Inevitably, though, I always ended up feeling rushed out after my workout, forced to pick up crappy food at a coffee shop nearby and eating in an Uber - feeling sweaty, disheveled and annoyed - on my way to my next meeting. Nothing existed that supported all my different needs under one roof. So I decided to create BOLO – a place that answered all my personal consumer problems. Another issue I hoped BOLO would solve was the declining community aspect of the fitness scene. With the rise of Class Pass - it was clear that fitness consumers wanted a diverse workout schedule - but running around to a different studio every day meant they weren’t really connecting with the facilities or the people. I decided to offer a schedule that included many different kinds of workouts (both heated and regular) so that people felt like they could plant their roots and truly immerse themselves in our community of like minded, supportive people. On the surface, BOLO is unique, of course, because literally no one else has done this before – put these exact services under one roof (gym, coffee, hair). But on a deeper level, the uniqueness of BOLO is something that can’t be described as much as it can be felt. It’s a tangible energy that is contagious as soon as you step foot inside. It’s the magical thing that happens when good people find each other and their new home away from home. BOLO is located at the corner of Peter and Richmond St W in Toronto’s Entertainment District. By far my favourite amenity right now is our HOT room. This is the studio where we do very untraditional classes in a heated environment. The temps reach 36 degrees Celcius and we do everything from resistance band workouts to shadow boxing classes and animal flow. You never leave without a super satisfying sweat.